You’ve probably fallen instantly in love with the Cabernet Sauvignon red wine the moment you’ve tried it. If you are anything like me, impulsively developing passion for food and beverages that deliver pleasure to the mouth, then you surely want to boost your wine knowledge and preach about its powers to your friends. No worries, this is not going to be a ten-page gastronomy lesson, but a complete yet simple guide to Cabernet Sauvignon red wine. First thing to know about Cabernet Sauvignon red wine is that it is produced from wild grapes, unlike Merlot, for example. This means that the red wine grapes that create Cabernet Sauvignon grow freely, in soil that is not over fertilized nor too wet. They have thick outer skin, thus are resistant to freezing. Cabernet grapes are widely grown in regions with warm temperatures such as: France, Italy, Australia, South Africa, Argentina, Chile and United States. 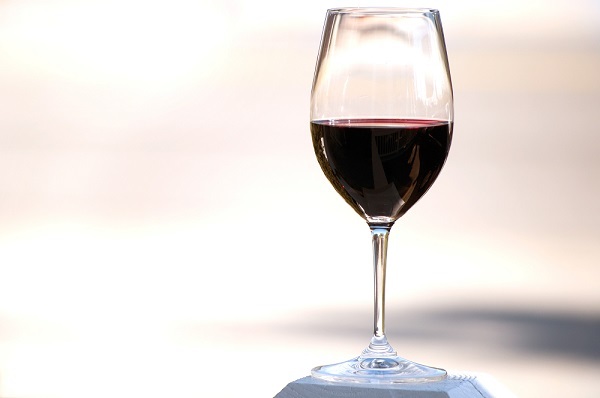 Cabernet Sauvignon red wine is a full-bodied wine, with flavours varying from dark fruits such as black cherry, black currant and blackberry to tobacco, licorice, vanilla and violet. You may even sense the oak, as this wine is usually aged in French oak for 9-18 months. It features highly accentuated tannins and a noticeable acidity, which makes it perfect for pairings with food high in fat. In wine talks, you will often hear the terms “Old World wine” and “New World wine”. “Old World wine” refers to wines made in Europe with traditional and antiquated techniques. The “New World wine” term refers to wines made in the regions colonized by Western Europe. Although, Old World wines are present in small quantities nowadays, if you do have the chance to taste any of them, you will easily notice the difference between these wines and the New World ones. The New World Cabernet Sauvignon red wine is a lot fruitier than the Old World Cabernet. You will sense black cherry, licorice and black pepper with a hint of vanilla. Cabernet Sauvignon red wine is a complex, layered wine, with highly accentuated tannins and acidity, and alcohol level of 13.5% to 15.5%. Generally, wines with higher alcohol level do not pair well with spicy food, as alcohol enhances the hotness produced by certain ingredients that accentuate the bitterness of tannins, making the wine not so pleasant for drinking. Best Cabernet Sauvignon red wine food pairings are dishes made with heavy butter cream sauce, or grilled food. So, get yourself a nice burger, a steak or a mushroom pizza with tomato sauce and have a glass of red Cabernet Sauvignon. You will taste a real symphony in your mouth.